Every week it seems that a couple of new state legislatures are joining the taxing frenzy over vapor products. Just the other day the State of New York approved a 20% tax on the retail selling price of liquid used in electronic cigarettes. That measure was included in the state’s budget for 2020 and was driven by declining tax collections from tobacco products and Albany’s insatiable appetite for additional revenue. Numerous other states, including Rhode Island and Illinois, have included taxes on vapor products in their budget proposals which are currently pending legislative approval. Legislators in other states are reacting to the fear-mongering over “youth vaping” currently emanating from the FDA, the Surgeon General and other organizations with similar proposals to tax e-cigarettes. Although the pace of introducing vaping tax proposals may be accelerating, such initiatives have been part of the legislative landscape at the state level for several years. What caught my eye recently were preparations being taken by a few states to introduce a tax on heated tobacco products (HTP). 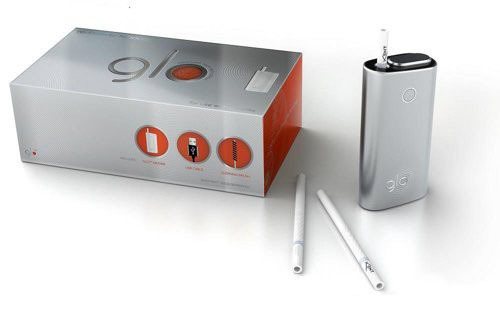 Such taxes have become increasingly widespread in Europe and parts of Asia where smokers are trending towards heated tobacco products such as Philip Morris International’s IQOS and British American Tobacco’s Glo. In the United States, however, heated tobacco products are not yet commercially available. Rather than burn tobacco like conventional cigarettes, these products electronically heat tobacco to create a vapor which is inhaled. Because there is no combustion, HTPs offer a potentially reduced risk alternative to smokers looking to switch. However, the FDA’s Center for Tobacco Products has not yet given manufacturers the green light to launch heated tobacco products in the US. That hasn’t stopped the State of Virginia from amending its tobacco excise legislation to create a new category for heated tobacco. Senate Bill 1371, approved by the Virginia Assembly in March 2019, defines heated tobacco as “a product containing tobacco that produces an inhalable aerosol (i) by heating the tobacco by means of an electronic device without combustion of the tobacco or (ii) by heat generated from a combustion source that only or primarily heats rather than burns the tobacco.” No tax is applied under this legislation. Legislation currently pending in the Washington State Senate would go a step beyond merely defining vapor products. Senate Bill 5986 calls for a tax of 5 cents per milliliter of nicotine solution used in e-cigarettes as well as a tax of 40 cents per ounce of heated tobacco. In recognition of the harm reduction potential of heated tobacco, the Bill’s sponsors included a provision stipulating that the tax must be “reduced by fifty percent if that same product is issued a modified risk tobacco product order by the secretary of the United States department of health and human services”. The bill has been approved by the Ways and Means Committee and was passed on to the Rules Committee for its consideration on April 5. It may be premature to call the actions of a handful of state legislatures a trend. Considering, however, that heated tobacco products are not yet available in the United States, it seems safe to say that policymakers at the state level have begun looking for the next emerging product in the vaping sphere which they can tax.